The average UK commuter spends nearly an hour a day travelling – and 3.7 million are en route for more than two hours, with the longest journey times spent on trains. Strikes and other delays aside – it is a long time to spend scrolling through social media or staring silently ahead. Some people are occupying their many captive hours with a creative pastime. Here are some of England’s most productive passengers. 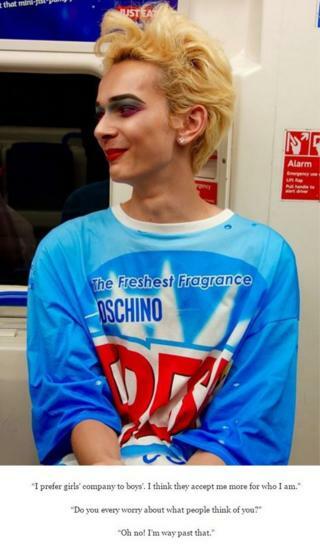 Amy Dicketts travels for 90 minutes a day on the Tube. 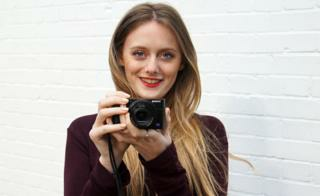 She photographs fellow passengers for her project Commute Blog. “I thought there must be something better I could be doing than staring into space or looking at my phone,” said the 24-year-old who works in marketing. “So I began to ask to take people’s photographs and ask them to tell me something surprising about themselves. “Usually they are surprised but glad to have some entertainment on an otherwise boring journey. Often the people around us join in and will ask their own questions. “I’ve heard stories from all sorts of people, including tips on how to have a happy marriage from people celebrating their wedding anniversary, to young boys trying to challenge the stereotypes people have of them. “I realised I didn’t have many stories from older people as they don’t tend to travel by Tube. 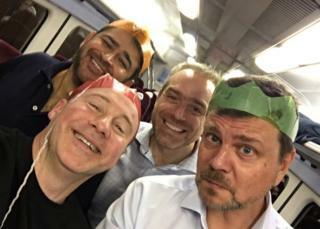 “I spent a day with North London Cares and South London Cares, two charities which bring together older Londoners and their younger neighbours. 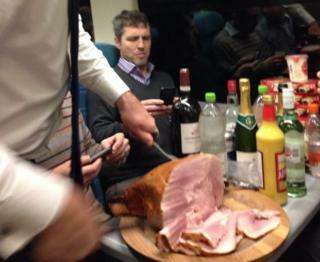 Jason Sutherland-Rowe, 48, travels for nearly three and a half hours on the train between Shoreham-by-Sea and London. He has become part of a social club. 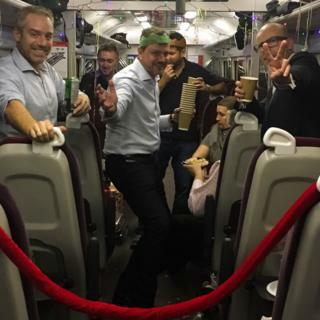 “I noticed a few people at the end of the train having a glass of wine and one of the guys beckoned me over and asked if I wanted to join them,” said Mr Sutherland-Rowe who works in IT for a bank. “The club has been going for about eight years and the people who started it aren’t travelling any more. “Every Thursday we bring alcohol and nibbles and just catch up on the week. “We celebrate birthdays with posters and decorations and we had a Christmas party. “In the summer we have a party in a field with a marquee and a barbecue and we bring our partners and children. “We have a Facebook group where we keep in touch and let one another know about train delays. “It makes commuting much easier because you are sharing the pain. Rebecca Webb’s commute between Buckinghamshire and London can last up to four hours a day. 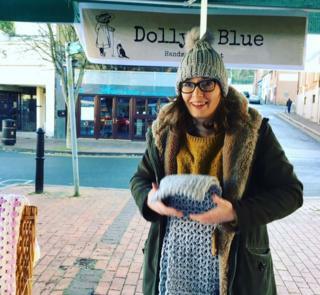 She crocheted enough items for a Christmas market stall. 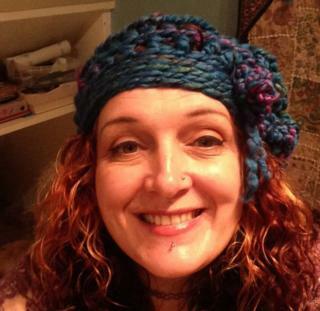 “I started crocheting two years ago as I wanted to try something creative,” said the 38-year-old who works as an administrator at a charity. 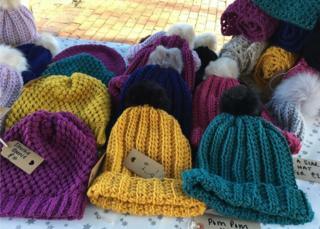 “For practical reasons I tend to make smaller items on the train such as baby bootees, adult beanie hats and scarves. “I’ve also made a few blankets by making the granny squares to and from work and crocheting them together into a blanket when I get home. “There’s only so much crocheted stuff you can give to friends. So I decided to have a stall at my local market before Christmas. “Using my commute productively has given me a little extra cash, it makes the journey go quicker and actually takes away some of the pain of commuting. Ben Yallop commutes for about three hours a day between Surrey and London. He has written and self-published two novels. “Initially to make the commute more bearable I downloaded Candy Crush,” said the 37-year-old who manages international judicial relations at the Royal Courts of Justice. “I was completely addicted and realised I was wasting valuable time. “So, I started jotting down ideas for a series of novels. I’ve done almost all my research, plotting and writing on the train. 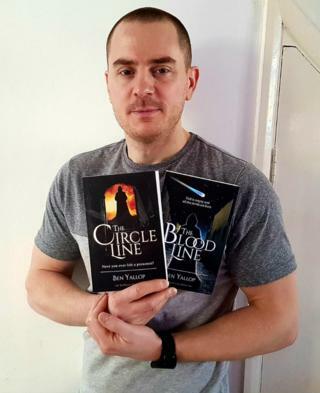 “I’ve self-published my two novels The Circle Line and The Blood Line through Amazon. “Some of the books are set within the London Underground. “It does feel good to be doing something which feels worthwhile,” said the married father of three. It takes Lindsey Farquhar three hours a day to travel to and from Liverpool. 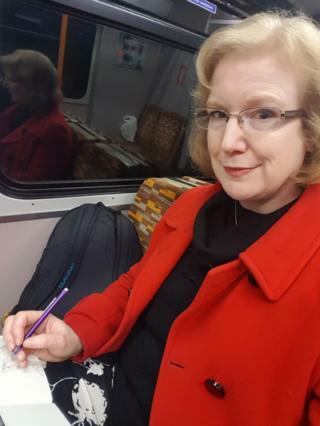 She paints, crochets and makes jewellery which she posts on her Crafty Commuter Facebook page. “The Crafty Commuter started in November 2014 when I missed the early train to work so had time to wait for the next one,” said the 42-year-old who works for a housing association. “So I bought a crochet magazine with free wool and crochet hooks at the station just on a whim. “My job is office based and can be quite pressured so I had previously worked myself into quite a state checking emails before I even got there. “But once I started my Crafty Commute, I arrived at work much more relaxed and feeling like I’d accomplished something creative already before I even got into work. I loved it. 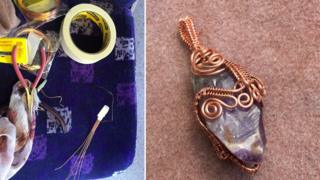 “I crochet bobble hats and boot toppers in the winter and I make wire-wrapped jewellery when it gets warmer. Wire is my summer version of wool, you see. “Then I started drawing and painting. I put together a little travel kit that I could take on the train. 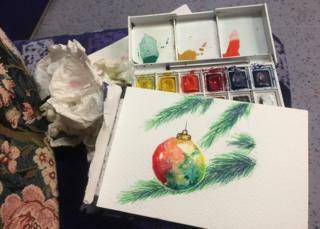 “Very soon, my friends at work were asking about my crafting and family and friends were chatting about it on Facebook. “The train guards started talking to me about my projects too. They stopped to talk about their families and friends. 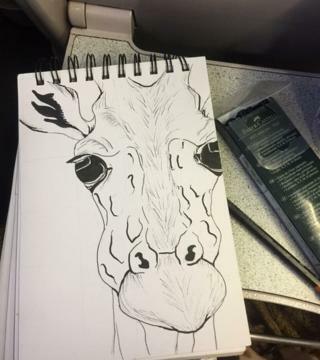 Berenice Baker says sketching helps her unwind during her one-hour commute on the London Overground. “I began sketching last year as I felt the need to unleash my creative side,” said the 49-year-old who works in social media for a recruitment consultant. “Sketching means I can relax and not worry about the day ahead until I sit at my desk, then it helps me unwind when I’m on my way home. 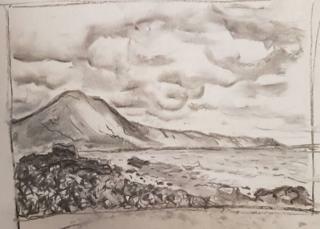 “I keep a pocket sketchbook, pen and pencil in my commuting rucksack. I have to be careful not to get shaky lines when the train goes over points. 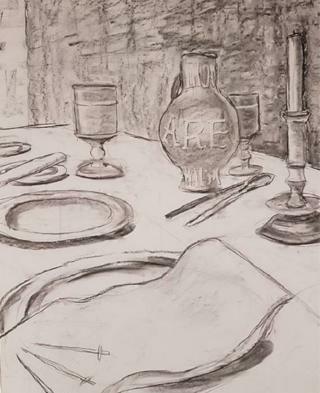 “I soon realised I needed some formal training to learn proper technique, so I joined a drawing evening class.